Simply, the best and edgiest hike and descent in Japan. EDGY JAPAN, aka, Hiroki Yanagisawa, used to think that Mt. Fuji, the highest mountain in Japan (3,776m), hike is the best hike. 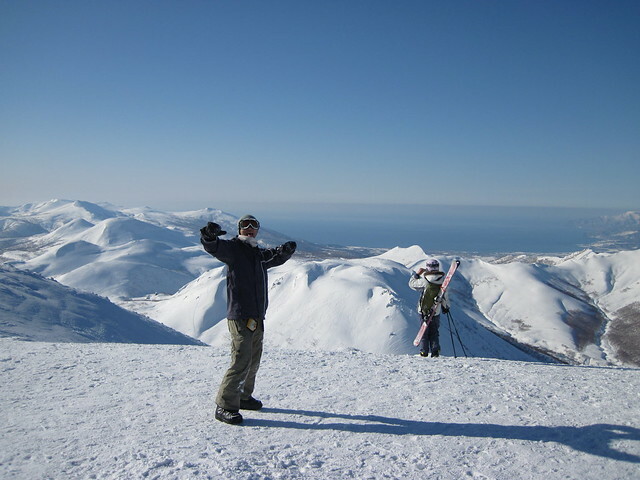 Goraikou, also known as the sunrise, from the summit of Mt. Fuji, is one of the breath taking (or so-called edgiest) hike-related experiences in Japan. This position has been remaining as it is until this year. 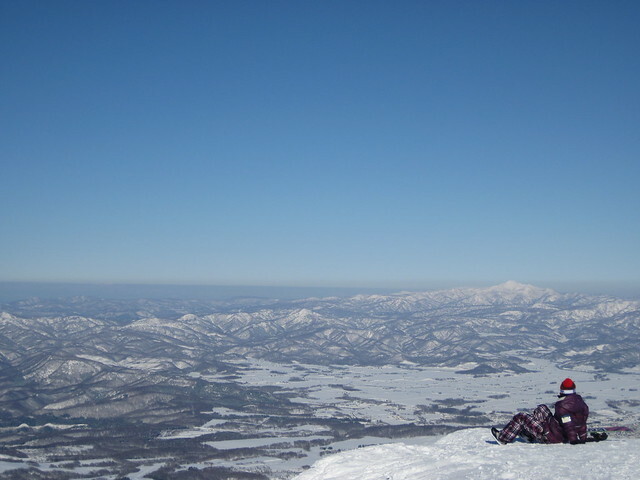 In February 2011, Mt. Fuji surrendered its position to Annupuri in Niseko, Hokkaido. 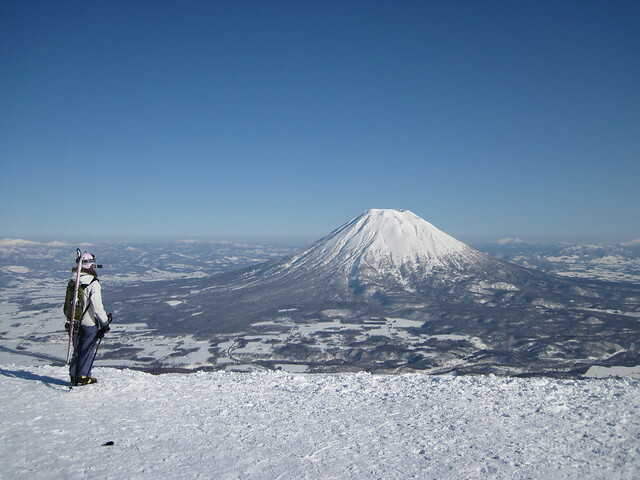 Annupuri, with its altitude of 1,308m, is well-known for accommodating Niseko's 3 major snow resorts -- Grand Hirafu (Hanazono), Niseko Village, and Annupuri. 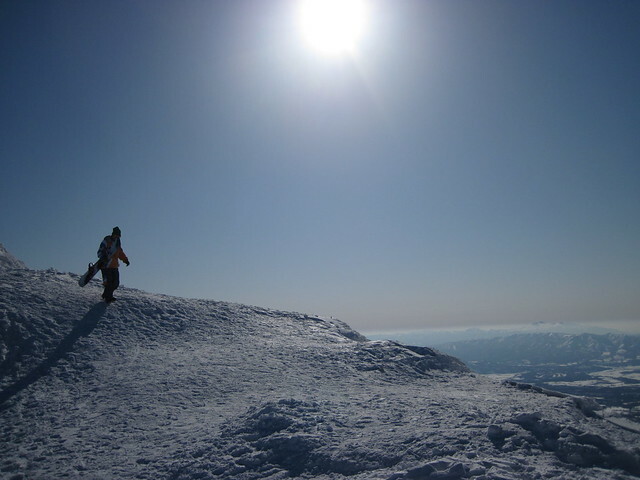 When weather is clear and crisp, hard-core skiers and snowboarders can hike to the summit (or near the summit) from the gates, located on the top of Grand Hirafu, Niseko Village and Annupri to enjoy off-piste runs. 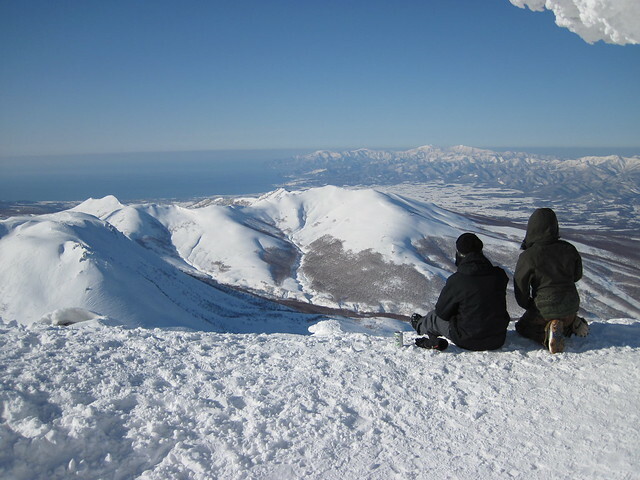 If you want the best out of Annupuri, hike from Gate G3, located on the top of Grand Hirafu's King #4 Lift. Click to enlarge. G3 gate on the center. This route will take you to the very top -- 1,308m, or the summit of Annupuri. The hike is about 30 minutes long, and this is quite a tough one. (Hiroki visits gym twice a week for 5km jog and workouts, but still, this hike was tough and was running out of breath.) But what you get is what you see -- the authentic MasterCard, the priceless moment. What's next? Enjoy 20-30 minutes of heavenly powder descent. 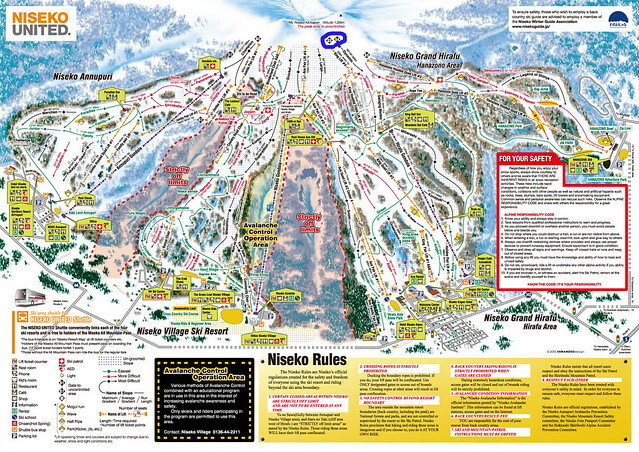 With apres-snow onsen and great food and beer -- it the ultimatum of Niseko experience. Please be advised -- the descent is very steep and obviously not groomed, so unless you're used to off-piste runs or an advanced skier/snowboarder, I suggest you to avoid it.